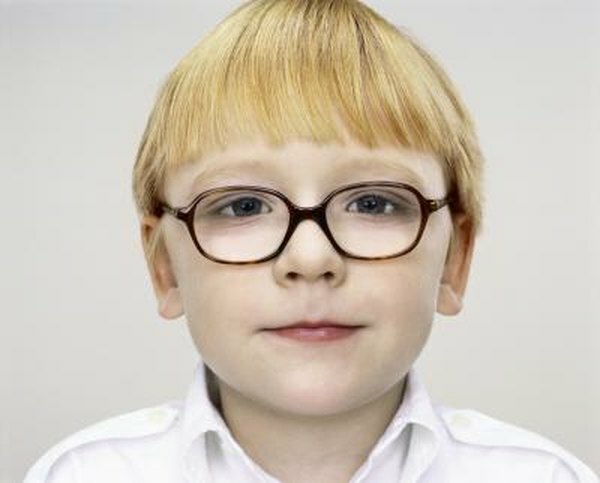 Your old eyeglasses could help needy children and adults. The World Health Organization estimates more than 153 million people worldwide have some type vision problem, most of which can be easily corrected with proper diagnosis and corrective lenses. A number of charitable organizations accept gently used eyeglasses that they recycle for use by needy individuals both at home and abroad. If you follow the proper procedures, you can take a tax deduction for donating your old eyeglasses. If you just want to get a warm, fuzzy feeling for donating your eyeglasses, any organization will do. But if you are interested in taking a tax deduction, you'll need to look a little closer at the organization you are donating to. You can only write off donations made to qualifying organizations. Organizations that operate primarily for religious, educational, scientific, literary or charitable purposes typically qualify to receive tax-deductible contributions. Certain fraternal organizations and lodges, government agencies and some other types of organizations might also qualify. Check with the IRS's Exempt Organizations Select Check tool at irs.gov/charities. Just like your new car, your eyeglasses start depreciating in value as soon as you metaphorically drive them off the lot. You can't write off the purchase price of your donated eyeglasses. You can deduct only their fair market value as of the time of the donation. Determining the fair market value of eyeglasses can be challenging. The IRS defines fair market value as the price a willing buyer would pay if all the pertinent facts were known. Since your prescription lenses are specific to you, you might not be able to find a willing buyer. If the organization you are donating to commonly accepts eyeglasses, it might be able to help you determine the fair market value. If you drop your eyeglasses off at an unmanned recycling bin, and the value is less than $250, the IRS won't require you to get a receipt or written acknowledgement for your donation from the organization, but you should still make a written note of the time, place, organization and value of your donation. If the value of your eyeglasses is $250 or more, you must get a written acknowledgement from the organization that includes a description of the donated goods, the estimated fair market value and whether you received anything in return for your donation. You'll have to itemize your deductions on Schedule A if you want to take a tax deduction for your donated eyeglasses. Report any cash donations you made to charity on line 16, then report the total amount of your non-cash contributions, including the fair market value of your glasses, on line 17. Add the amounts together, along with any carryover from previous years, and enter the total on line 19. If the total amount of your itemized deductions is less than your standard deduction, you'll have a lower federal income tax obligation by claiming the standard deduction.